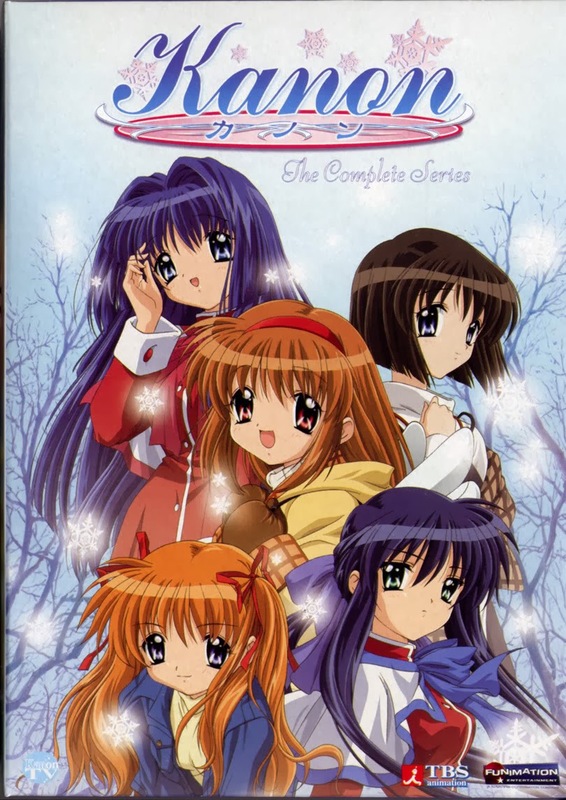 Originally a Japanese adult visual novel developed by Key, Kanon (カノン) made several transitions into other media, such as two manga series, comic anthologies, light novels and art books, audio dramas and several music albums. Toei Animation produced a 13-episode anime television series in 2002 and an original video animation (OVA) episode in 2003. 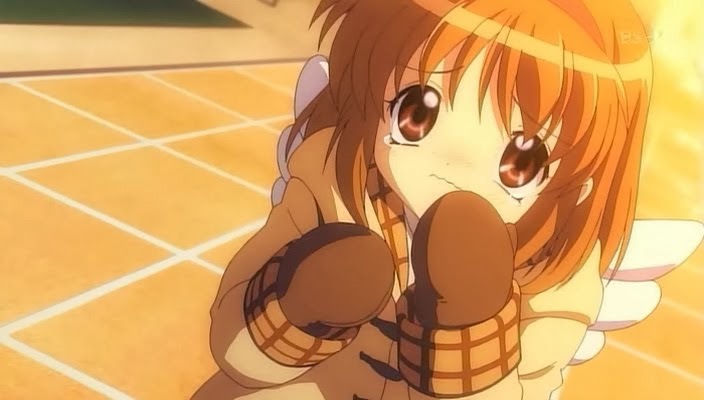 Kyoto Animation produced a 24-episode anime series in 2006. 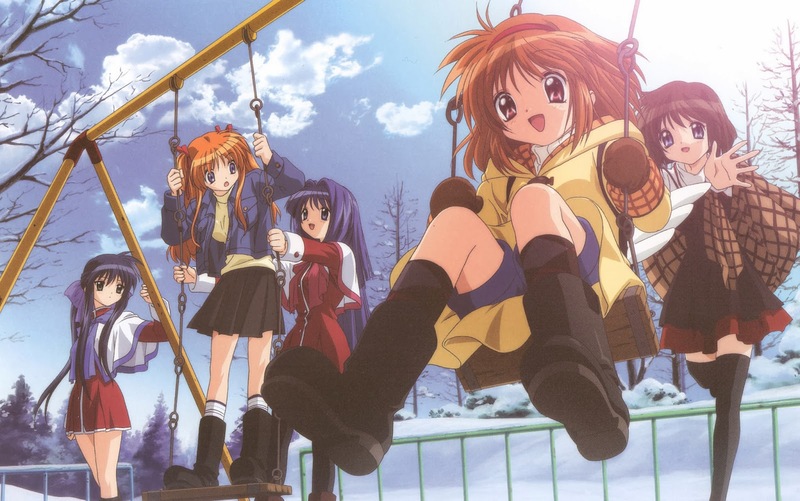 The 2006 anime plays on the association between Kanon and the musical term canon by using Pachelbel’s Kanon D-dur, or Canon in D major, as a background piece at certain instances throughout the series. 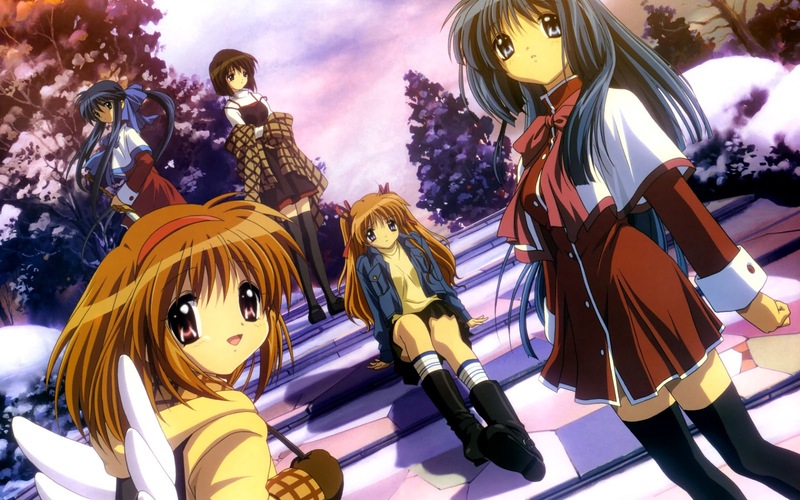 Kanon’s story revolves around a group of five girls whose lives are connected to the same boy. 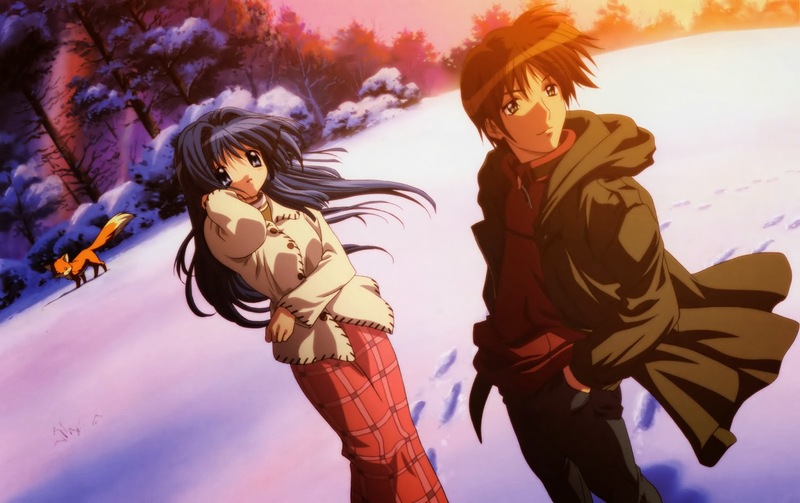 Aizawa Yuichi is a second-year high school student who had visited the city where the story takes place seven years prior to Kanon’s beginning. The story opens on Wednesday January 6, 1999 when Yuichi arrives in the city and is very detached from it and its inhabitants. 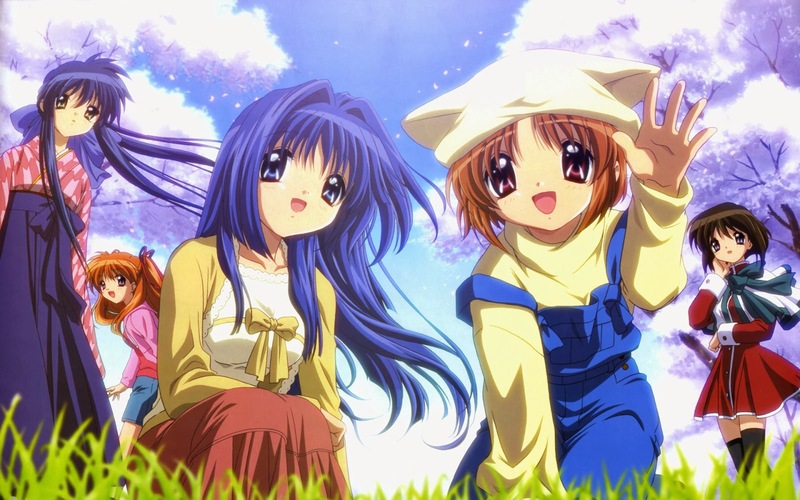 Prior to his return, it is decided that he is to stay with his cousin, Minase Nayuki, and her mother, Akiko. After his long absence, Yuichi has forgotten almost everything except minor details of what happened seven years before and is in need of being reminded of what he left behind. Nayuki initially tries repeatedly to jog his memory, but is unsuccessful. Throughout the story, as he learns about the supernatural undertones of the city, Yuichi is reminded of the events of seven years ago. On the day after Yuichi’s return, he is out with Nayuki who is showing him around city. Nayuki remembers that she has to buy things for dinner, but Yuichi is reluctant to go into the store with her. Moments after Nayuki leaves him waiting on the sidewalk, a strange girl named Tsukimiya Ayu collides with him with little warning. Upon recovering, she drags him away to a nearby café and confesses to inadvertently stealing a bag filled with taiyaki after being accidentally scared away by the salesman before she had a chance to pay. They decide to meet up again another day and Ayu scampers off. 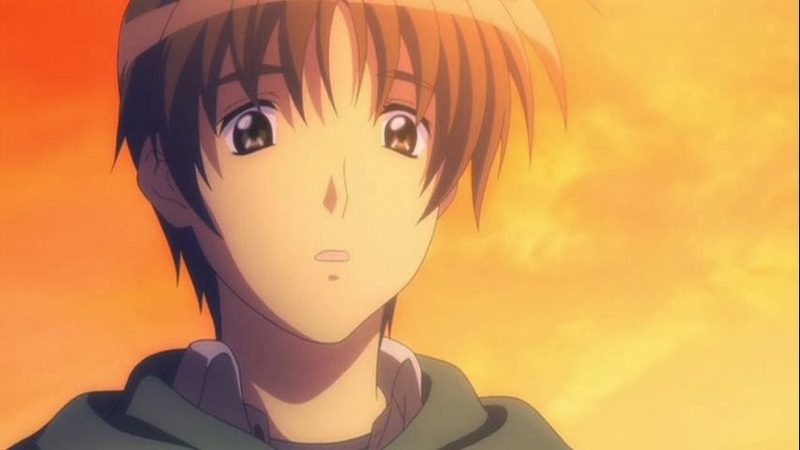 A few days after he has been in the city, Yuichi is accosted by a girl named Sawatari Makoto who has lost her memories, though still remembers that she has a grudge against him from when he last visited the city. After she collapses in the street, he takes her home and learns about her situation. Akiko gives her permission to live with them for the time being, which is against Yuichi’s plan to hand her over to the police. Another girl who is connected to Yuichi’s past is Kawasumi Mai who attends his high school as a third-year. She takes it upon herself to fight and defeat demons at night while the school is deserted. Due to this, she is constantly blamed for accidents because she never denies them, being too sincere to say anything and knowing that no one will believe that there are demons in the school. Yuichi coincidentally meets a fifth girl named Misaka Shiori who he gets to know along with the other four heroines in the story. She has suffered from an unexplained affliction since birth which makes her weak to the point of missing school because of it. Yuichi starts to talk with her more after noticing her in the school courtyard one day. It turns out that Shiori stands outside on the school grounds nearly every day because she wants to meet someone dear to her. Telling you more than this will become too much spoiling, so lastly enjoy the OP video from 2002 and 2006 versions below!